Aims to expand its distribution network to 250 sales outlets in the country. Japanese personal care products maker Shiseido is foraying into the high-end skincare and makeup segment in India with its flagship brand 'Za', and it aims to create a pan India distribution network of 250 sales outlets. 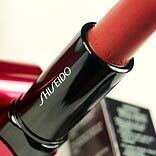 Yu Okazawa, Corporate Executive Officer and Director, Shiseido, in a recent media interaction, said, “This brand will be launched in the second quarter of the year." Baccarose Perfumes and Beauty Products.